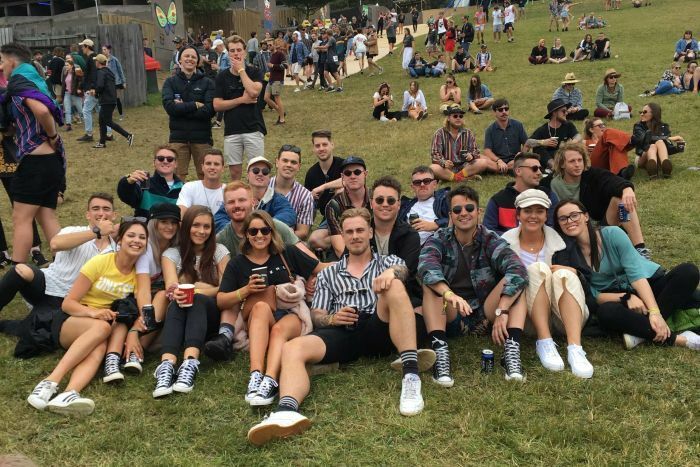 A man who was run over by a car while sleeping in his tent at Falls Festival in Lorne on New Year’s Day says he initially refused to camp at the spot because he feared it was too dangerous. 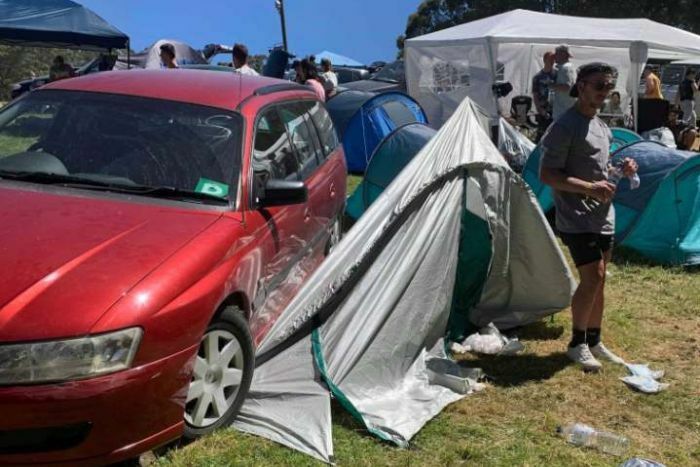 Andrew Pepper, a 24-year-old plumber who lives in Geelong, said his group of friends was worried about cars being parked alongside tents on a steep hill in wet weather. “My friend Kyle was the first car in our convoy and he stopped traffic and said ‘we’re not camping there’,” Mr Pepper said. “But then he had all the people backing up in cars and Falls organisers coming and saying ‘mate, you get put where you get put’. Mr Pepper said he had no idea what had happened when he woke up on New Year’s Day to the sounds of people screaming and a feeling of being trapped. He had been sleeping on his stomach when a car came to a halt on top of him. He had tyre marks on his back, and dipped in and out of consciousness. 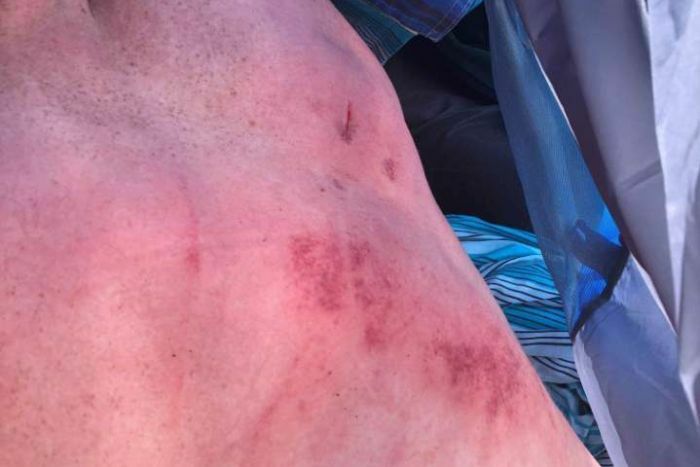 “My girlfriend took a photo of my back and said, ‘you’ve been run over’ and showed me the photo,” Mr Pepper said. He said he suffered a fractured vertebra and is waiting on an MRI scan to investigate possible bleeding on his brain. “The paramedics have said the only reason I’m still alive is because I was on my stomach,” he said. Mr Pepper’s friend, 21-year-old Prue Brunt, said she narrowly escaped being crushed by the car. “I remember getting out and looking around and hearing his girlfriend screaming ‘someone’s in there, someone’s in there’,” she said. 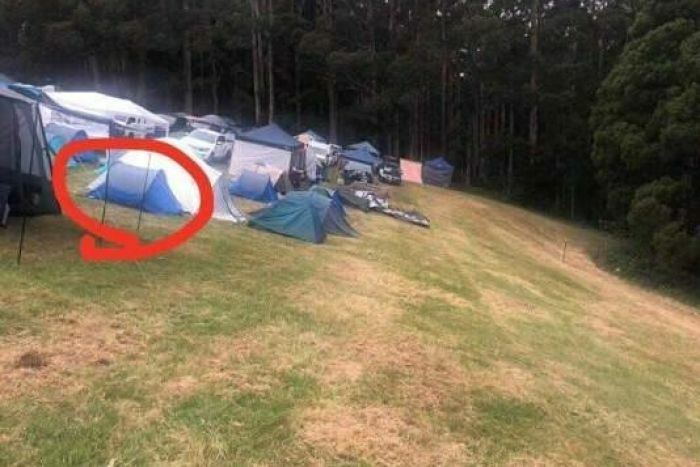 Moments before Mr Pepper was run over, Ms Brunt had fled from her tent after she heard a car motor and part of the tent’s fabric starting to collapse. A group of her male friends started trying to lift the car off their trapped friend. The car’s driver, a young man, had been trying to make his way out of the camp site when his vehicle slipped. 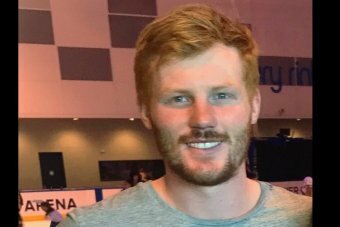 “Luckily those boys were able to pull him from underneath the car and get him out while the car was trying to reverse, but it couldn’t because the wheels were just spinning,” Ms Brunt said. Mr Pepper and his friends have been so disappointed by the way the festival handled the issue they decided to air their concerns publicly. “They didn’t reply to any messages, they brushed us off. Some of our parents were messaging Falls and they were getting nothing,” he said. “We think as a group there has to be a change made, especially to those hills. Falls Festival released a statement saying it was “saddened” to hear that Mr Pepper was injured as patrons were leaving the event site. “We have multiple levels of safety checks that go into the planning of the event site,” the statement said. “Police were engaged onsite as soon as the incident occurred and the patron was handed to our medical team.